There is the NY Times bestseller list, and then there are the numerous high quality writers plugging away in dark corners, producing what is often more considered, more sophisticated material for quieter applause. Jonathan Carrol, Maureen McHugh, James Morrow, James Blaylock, John Kessel, Caitlin Kiernan, Kij Johnson, Andy Duncan, Rachel Swirsky—these are writers whose names are known by a few, but who will never achieve bestseller lists without lowering the standards for their work. Terry Bisson is one of these writers, and his first collection Bears Discover Fire and Other Stories (1993) is a great example why. The horror genre is so intrinsically limited in scope that the past one hundred+ years of such stories have brought us to the point where the only way to be original is to instill new genre blood (romance, fantasy, etc.). All other stories have been written, or the interstices are so minimal as to be almost negligible. This means writers who want to till the same ground must bring their best chops to the table to ensure their oh so familiar material is at least sound in technique, and thus make the reading enjoyable at the surface level. I believe this is the best way to describe Jeffrey Ford’s 2017 The Twilight Pariah (Tor.com). I grew up in a very rural area. (Population of my township—not quite town—was 450.) White collar jobs essentially limited to doctors in the regional hospital, bank execs, and the occasional, lucky entrepreneur (all in the next town over), the majority of people are salt of the earth: laborers, teachers, mechanics, clerks, farmers, housewives, shop owners, the elderly, etc. And, like so many other small towns (and townships) in the latter part of the 20th and beginning of the 21st century, my area is affected by poverty and higher usage of illegal drugs. A close relative of mine, in fact, died of an overdose recently. Believing I had an understanding of why, I nevertheless jumped at the chance to read Nick Reding’s Methland: The Death and Life of an American Small Town (2009) to find out just how country music, big truck tires, and a low-key sense of howdy could be so affected. 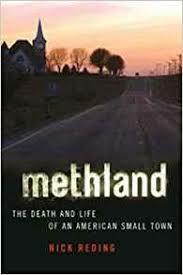 A mix of case study and research journalism, Methland grounds itself in the empiricism of small town of Oelwein, Iowa, all the while connecting the dots of the town’s meth problem to the larger sectors of pharmaceuticals, criminal law, sociology, and politics. From the town’s mayor to one of its biggest addicts, the police chief to one of the region’s major dealers, Mexican drug cartels to government legislation, FBI officials to the owner of Oelwein’s most popular watering hole, the key players locally are given space to present their view, even as research into the breadth and history of meth legislation, distribution, manufacture, logistics, drug labs, and other vectors are presented at the local, national and international levels. In short, Reding cannot be accused of leaving a stone in the arena of methamphetamine abuse, unturned. 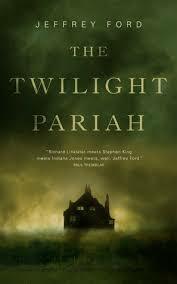 If one reads books long enough, there are certain types of fiction that get old, very quickly. 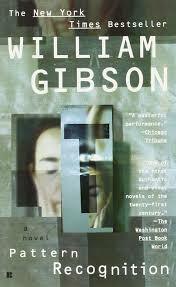 Adhering too closely to formula and adding nothing with style, some detective novels, for example, wear themselves thin within a few pages. 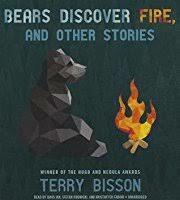 Seeming to forget that it’s possible to write familiar material in an engaging manner, things like prose, writing between the lines, presentation, making bolder assumptions of reader intelligence, and other elements of more sophisticated fiction get tossed aside in favor of trying to write the latest bestseller. Thankfully, Jon Courtenay Grimwood does not forget. 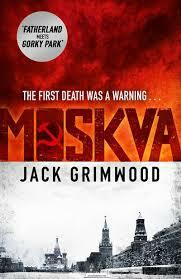 His 2016 Moskva (as written by “Jack Grimwood”) is a brilliantly styled murder/espionage story set in Soviet Russia in the 1980s that does nothing new in broad terms, and yet does everything flawlessly at the detail level, resulting in a roughly familiar yet highly engaging novel—the perfect relaxing read. Tom Fox is in exile, of sorts. British intelligence angry at a rash choice he made involving the deaths of others, he has been sent to Moscow on a low-grade assignment to gather information about the influence of religion on the state. Set in the mid-80s, Soviet power is in effect but on the wane, meaning more government officials are reaching out to attend the social gatherings of the city’s various embassies, including the British. Meeting one such important Soviet official at a gathering, Fox likewise runs into the daughter of the British ambassador at the same party, a rebellious fifteen-year old named Anna who reminds Fox of his own daughter, now dead. The teenager turning up missing in the days that follow, Tom is called into the diplomat’s office and his mission quickly changed from information gathering to investigating a missing child. The trouble for Fox is, the deeper he digs, the deeper the implications for Anna, British-Soviet relations, and even his own life. Four years passing between David Mitchell’s 2010 The Thousand Autumns of Jacob de Zoet and 2014’s The Bone Clocks, it’s fair to say the author took his time working on the latter. With the 2015 publication of Slade House, it’s also fair to say he had some material on the cutting room floor. 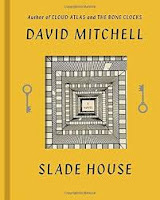 A frame narrative, Slade House tells the story of five people who, in some way or another (usually death), get themselves involved with the mysterious, titular abode and the Anchorites (beings who consume people’s souls to remain young) who live there. 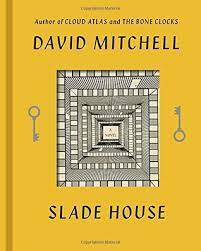 The incidences occurring in a nine-year cycle the Anchorites require to keep the ritual alive, the five people’s stories slowly concatenate into a moment that irrevocably changes the future of Slade House forever. Opening on a familiar note, Johann Faust begins the story burning the books in his library. Declaring the majority of written knowledge to be rubbish, he frightens his assistance Wagner with his antics. Soon enough Faust is contacted by a demon from another galaxy calling himself Mephistopheles, and made an offer: all the knowledge in the world, no strings attached. Believing in the quality of his fellow human beings and that the knowledge will be used for good, Faust accepts the offer, all the while Mephistopheles secretly assumes it will lead to humanity’s downfall. Turns out, both can somehow be right. In many ways, the ebook has revolutionized reading. It brings to the table aspects of interaction that are simply impossible with the standard paperback, from size considerations to word searches. I can fit thousands of books in a tiny space and find out how many times the word ‘esoteric’ appears in a given text. But does anyone believe the format has been fully explored? 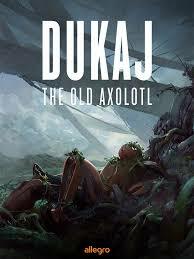 Jacek Dukaj, in his 2015 The Old Axolotl, believes no. Seeking to push the medium to the next stage of its evolution, Dukaj tells a dynamic, post-human story that complements the evolution of ebooks in abstract terms. Caught somewhere in the crossfire of Charles Stross on the aesthetic side and Stanislaw Lem on the thought-provoking side, yes, it’s an ambitious novel—if that is the name for such a medium. A radioactive horizon effect wipes humanity from the Earth at the beginning of The Old Axolotl. The only people who “survive” are those able to upload themselves to data infrastructure before the horizon line hits, most of whom are online gamers. Arising in the aftermath are varied societies of mechs powered by the uploaded personalities. But it’s a limited existence. Eventually reaching a ceiling of knowledge that AIs and machines can achieve, the mechs begin to face similar ontological quandaries as humanity currently does. The proposed solution is the creation of new biological lifeforms the mechs call axolotl. But where does life on Earth evolve from there? Of the Nintendo generation, I was raised on 2D platformers. From Super Mario Brothers to Contra, Metroid to Castlevania, such games worked with the limitations of the 8-bit system. When the Playstation and Nintendo 64 came around and 3D games became a realizable possibility, a new world opened to gamers—for as blocky and clunky as it seemed to be. But as consoles and computers increased in power, the lack of realism began slipping away. Today, games like Witcher 3, Metal Gear Solid: Phantom Pain, and Horizon: Zero Dawn present characters and settings just a hair removed from live stage action cinematics. Why then would a developer utilize such powerful technical potential to go back and create a 2D platformer? 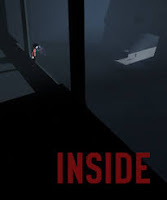 Playdead’s 2016 Inside is the perfect answer. Building off the style and premise of their earlier Limbo, Inside throws a young boy into another black and white world fraught with puzzles and peril. But gameplay and theming has significantly matured. Where Limbo was a procession of puzzles with little to nothing linking the parts, albeit clever, Inside creates cohesion twixt its brainteasers. Using a common aesthetic, the placement of related background elements, and recurring motifs, the game builds a story that, dare I say, synthesizes into a holistic vision, a vision that asks veiled but poignant questions regarding free will. More than just a standard 2D puzzler, it’s an experience wherein the individual pieces aggregate into a larger whole that will have the player pondering the thinking, and not just how to solve certain puzzles.